A pleasant background color helps prevent eyes strain and may also contribute to work productivity. 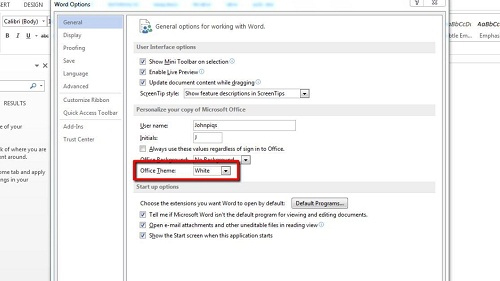 This tutorial will show you how to change office 2013 background color. Click on the “Start” menu, and click “All Programs”. 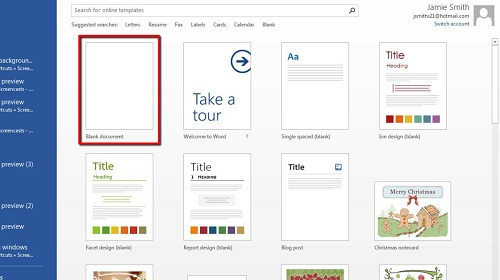 Look for the folder called “Microsoft Office 2013”, click on it. 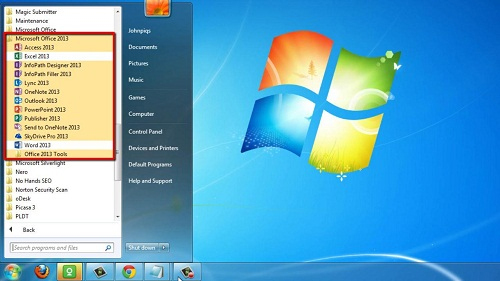 It will show you all the Microsoft Office 2013 applications installed on your PC. Click on “Word 2013″. A window will open, click “Blank document”. This will load a blank document. Click “FILE”. A list will appear, click “Options” and a new window will open. Under the “General” tab, find the heading called “Office Theme” and click the drop down arrow next to it. A list of colors will appear – choose which one you like. You don’t need to repeat this process for other Microsoft Office 2013 applications because the background color that you have just selected will also take effect in other applications. This is how to change office 2013 background color.